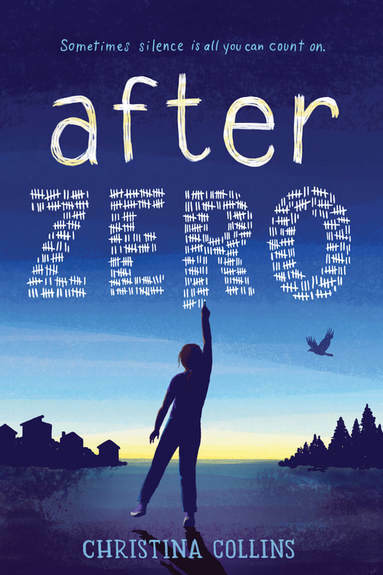 Christina’s Collins’s powerful middle grade novel about voice. What do we tell our children in the face of an unkind world? These words, these stories, these voices. This book especially resonates for me this year, at a time when the idea of speaking truth to power, vocally opposing suppression of individual rights, and the freedom of ideas are part of our daily conversation and value set. In our bookstores, we have placed titles like WE RISE, WE RESIST, WE RAISE OUR VOICES face out alongside NEVERTHELESS WE PERSISTED. We slide AMINA’S VOICE over the counter to middle grade readers as we include GLORIA’S VOICE in each stack of recommended picture books to be wrapped, all in our constant commitment to amplify and echo the voices of those who need to be heard, whose words are more powerful than the print on their pages. We celebrate speech, we celebrate shouting, we encourage individual expression in a time of sound and fury — and we add to that noise by raising up those who call out in loud voices, sometimes to the expense of those who sit quietly and observe. Defiance, strength and courage exist inside pages of this book, waiting to be passed on to young people who need all three. As booksellers, we see every title in our stores as a window to expression, a different way to put words and pictures and relatable characters to each and every challenge of childhood. These characters and adventures welcome our customers, offering them a way to navigate through the difficulties of relationships with families and friends, teachers and coaches, math tests and soccer tryouts. Words, the currency of our trade, are both bandaids and hugs. Let us tell you our thoughts, let us talk you through this, young friend. Tell us your story, and let us hear and understand your struggles. We will give you stories in return that will encourage, strengthen, and entertain you. The very idea of abandoning speech — of losing one’s voice as a conscious choice to avoid attention — is the anathema to our vocation. The need to talk about experiences — whether in words out loud, or in hardcover print read under the covers with a flashlight — are the ways we guide, we support, and we raise our young customers. Tell us what you think, and we will tell you what to read. How, then, do we respond to silence? Is the choice not to speak, to wait and watch, to see the world without participating through comment or opinion, something we must correct or cure? Is the child’s choice to avoid speech truly a pathology, or simply a choice? In our societal enthusiasm for giving voice, have we neglected those who choose not to participate? After the conversation with my customer about her daughter, I contacted Christina, hoping for some other book titles that she might recommend about characters who are silent by choice, particularly some that might be more age-appropriate for a seven-year-old. Ever so kindly (I am always amazed at how quickly authors respond to requests for young readers — kudos to kid lit people, yet again and again – we ARE the village that I wish to live in) she suggested the Alvin Ho series by LeUyen Pham and Lenore Look, particularly ALVIN HO: ALLERGIC TO GIRLS, SCHOOL, AND OTHER SCARY THINGS. While never really identified as mute, the character here chooses silence as a response to anxiety and fear about the unknown. Alvin is scared. He chooses to be silent. And while this choice is not the flavor-of-the-month in our short attention span of behavioral correctness, it is honest and authentic and relevant. I would also propose that it is well within the spectrum of healthy, expected responses of a young person to the immense demands of social interaction that our current world creates. Sometimes, in our enthusiasm to instigate thought and ideas and discussion, I think we might forget that our true role as booksellers is to simply offer opportunity to see the world a different way, through the stories of others. That reading and breathing and living as a character in a book, even for just a brief time, is as authentic an experience of empathy and witness as any protest march or public proclamation. For understanding another’s story is as real a window into justice and peace as any march or debate. Let’s just be quiet, and sit for a minute with those that choose to think, without waiting for them to speak, shall we? 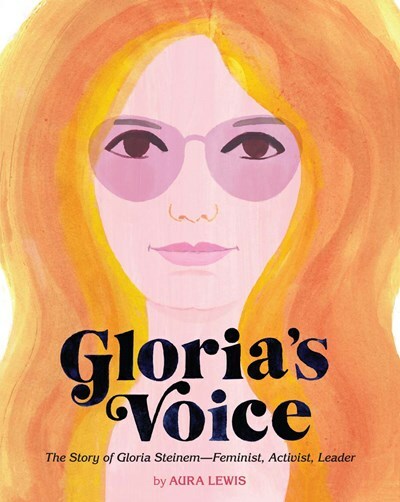 Aura Lewis’s powerful picture book about an icon of feminism. Amina’s Voice by Hena Khan is a staff favorite in our store this year. The voice of a generation in the life of Congresswoman Barbara Jordan, told by Chris Barton. This entry was posted in Uncategorized on November 15, 2018 by Cynthia Compton. This brings to mind SPARK by Sarah Beth Durst (On Sale Date: May 14, 2019 from Houghton Mifflin). I just read the ARC recently and while the main character isn’t completely silent, she is a very quiet person by nature. She prefers observing. She and her family are happy and comfortable with this–and when she does speak, they listen because they know it must be important to her. It seems like this might be a part of her personality that will have to change when she’s chosen to be part of a notoriously loud and excitable group of public servants who ride storm beasts. It’s a really nice early middle grade fantasy adventure novel with a great environmental theme and a super adorable creature that’s kind of a cross between a dragon and a puppy. But what struck me most about this book is how the main character, Mina, is able to find a way to be heard and be a leader without having to change her fundamentally quiet and introverted ways. Cheers to the quiet kids! Cheers, indeed, Leslie – and thanks for the book rec. I have been thinking a lot about that idea of “quiet leadership” in this post election, pre holiday season, and hope to find it in places where understanding is more important than immediately getting one’s way. Much peace to you and your staff this month!